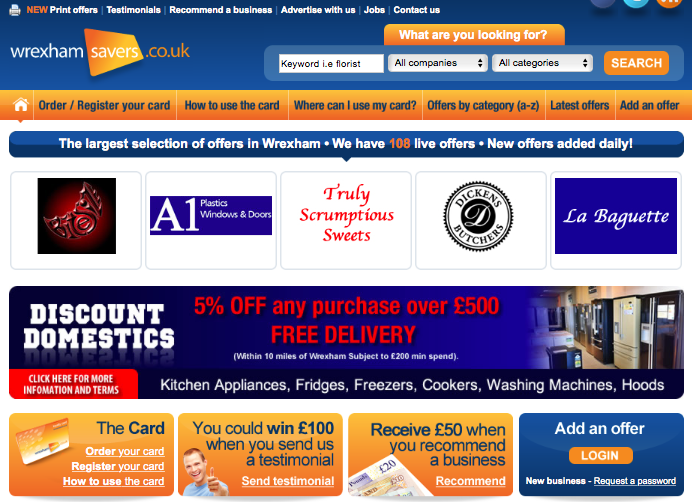 The Wrexham Savers Card offers an extensive range of discounts in the whole county of Wrexham. To order a Wrexham Savers Card – Click here. Wrexham Savers is sponsored by Discount Domestics.